Cozy Lakefront Cottage. Minutes to Acadia National Park and MDI. 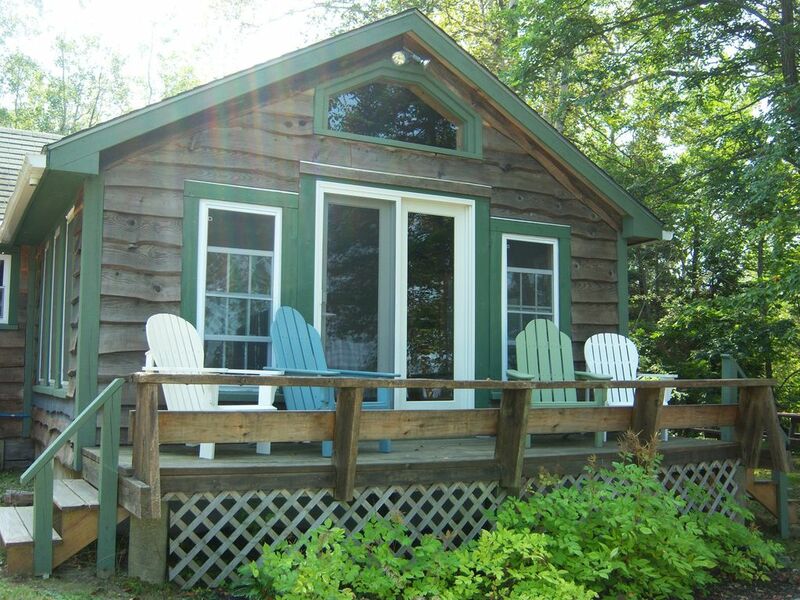 This delightful cottage is located on Graham Lake in Ellsworth Falls. The perfect spot to come and relax for your New England vacation. Enjoy the sight of eagles soaring overhead from the screened porch as you sip your morning coffee. Incredible sunsets can be viewed from the hammock overlooking the lake. The property sits on one acre and is very private. There is a canoe and kayaks available and the fishing is great. It is a short drive to the ocean and Acadia National Park. BR B Amenities: /B BR Our cottage is fully furnished and we provide the towels and linens. Satellite TV, DVD, phone, washer and dryer. Fully equipped kitchen with microwave, stove/oven, refrigerator, coffee maker. Outdoor gas grill. Electric and gas heat. BR B Area: /B BR The cottage is approximately 4 miles from the city of Ellsworth. Enjoy shopping, movies, dining and more. All towels, including beach towels, are provided. Some basic spices and oil and vinegar are provided. 2 kayaks and 1 canoe are provided at no additional charge. Tennis courts located in town. My husband and in-laws and I had a wonderful time! This was our first type to Maine and the Talley Cottage did not disappoint. The cabin was extremely clean and had everything we needed to feel at home. We enjoyed having the option to cook while we were there for a week. Emily and Leroy were very attentive and ensured that we had what we needed. We enjoyed an evening by the fire pit on our last night--what a wonderful week in Maine! This was our 4th time out to Talley, and each time it feels more like home. We love that theres still some adventuring right outside the cottage when we don’t feel like driving out to Acadia. We’re in love with this gem and can’t wait for next time! We came back to Talley Cottage this summer to have our wedding and 30+ people had a wonderful time enjoying the cabin, the lake and the great food from Big Cat catering. We want to thank Emily and Leroy again for helping us make great memories. It's very rare that vacation properties are even better in person than they appear online -- but this is the exception. Emily is an outstanding host. The cottage itself is adorable, super clean and comfortable, and contains everything you need. The washer/dryer combo was a great plus. The cottage is right on Graham Lake and comes with kayaks and a canoe. We fished everyday and caught several dozen smallmouth bass. The town of Ellsworth is close by and has some excellent restaurants -- Provender was a perfect choice for lunch one day and dinner for our final night. Flex-It has great sandwiches. All in all we had a wonderful one week stay and give this property our highest recommendation. Very nice! Clean exceptionally well kept place. Graham Lake suffers from Lake water level fluctuation and you won't do well with a power boat on this end of lake, however it was fine with provided canoe and Kayaks. Height is published on line, It was around 102-103 ft while we were there. Plenty of wildlife and very quiet and close to town. Overall great stay. Thanks Leroy and Emily!! My new go-to vacation spot. Peaceful and quiet with beautiful sunsets. Cottage has plenty of room with attention to detail. $675-950 /Week Cleaning fees are included in the weekly rate. There are no hidden costs. This is a Sunday to Sunday rental. May	$675/week June $775/week July/August $950/week September	$775/week October $650/week 9% Maine Lodging tax additional.